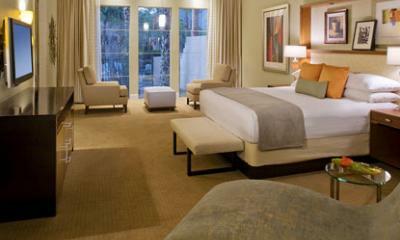 Hyatt Regency Indian Wells Resort, Villas and Spa - the premiere luxury golf resort in Palm Springs!. This full service luxury golf resort boasts a 45-acre oasis of lush gardens, shimmering fountains, and a selection of luxury hotel or villa accommodations suitable for even the most distinguished golf traveler. While at the Hyatt Indian Wells feel free to relax in the award-winning spa, play a round of championship golf at Indian Wells, or swim in one of seven inviting pools. Get your exercise on our pro hard surface tennis courts. 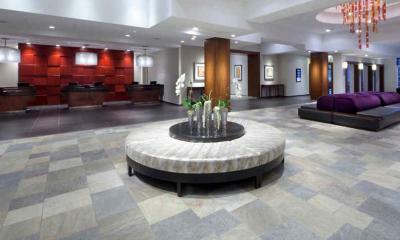 You’ll delight in this charming hotel in Palm Springs that embodies the pinnacle of graciousness and style. All Hyatt – Hypo-Allergenic Rooms are designed to provide a comfortable sleeping environment for all guests, especially allergy sufferers. Although all Hyatt rooms follow a strict protocol for cleanliness, Respire by Hyatt rooms undergo an additional six-step process to reduce airborne particles and minimize the presence of potential irritants. This process includes installation of a state-of-the-art air purification system and treatment of all fabrics and surfaces in the guestroom. The resort offers 530 deluxe rooms with garden, mountain, golf or pool views along with a selection of luxury 1 and 2 bedroom villas with available butler service for those seeking a higher level of luxury. 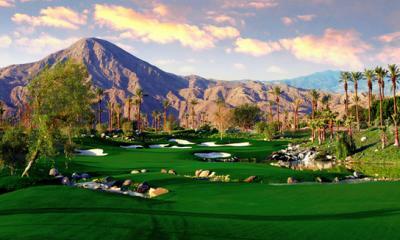 As a passionate golfer you will be no better situated than at the Hyatt Regency Indian Wells with 2 top rated courses (Indian Wells Celebrity and Player Courses) located on site as well as many other PGA rated courses only minutes away.